Grandparents of Autistic Individuals Need Support – Parents are invited too! Please RSVP by calling the ASO office at (503)636-1676 or sending an e-mail to info@oregonautism.com. Our speaker at the next meeting will be Eileen Garvin, author of How to be a Sister: A Love Story with a Twist of Autism. Eileen is the youngest of five children and she has always been close with her sister, Margaret, who is three years her senior and was diagnosed with autism the month Eileen was born. She will talk about life growing up with Margaret and how their relationship has grown over time. Eileen is a freelance writer for newspapers, magazines and website. She lives in Hood River with her husband. Eileen will have her book available for sale and will do a book signing. 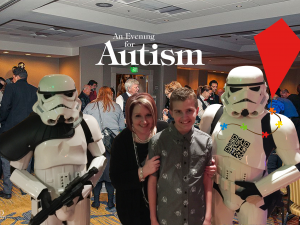 Visit http://www.oregonautism.com/ for more information about ASO. Click this link for a PDF version of this document. This entry was posted in Autism Activities, New!, Support Groups, Westside Family and Community Center. Bookmark the permalink.